In the 1950s, a Texas school district was forcing Mexican-American students to repeat the first grade three times. When alum Enrique Aleman Jr., Ph.D., uncovered his own mother’s childhood fight in this battle against inequality, he decided to chronicle the historic struggle. A few years after the landmark and widely known 1954 Supreme Court decision in Brown v. Board of Education, another legal case in a small South Texas town – this one largely forgotten — showed the battle for racial equality was not over in South Texas. Aleman (B.A. ’93), an Associate Professor at the University of Utah, coproduced a documentary last year about the Hernandez v. Driscoll Independent School District case titled Stolen Education. The 65-minute film has been screened to packed audiences at universities, public schools, libraries and film festivals in North Carolina, New Mexico, Nevada, Texas, Utah and Virginia. In 2002 Aleman, then a doctoral student at The University of Texas at Austin, was taking a study break at home to channel surf when he came across a documentary on civil rights activist Hector P. Garcia. The program mentioned a court case he had never heard of that took place just minutes from his native Kingsville. 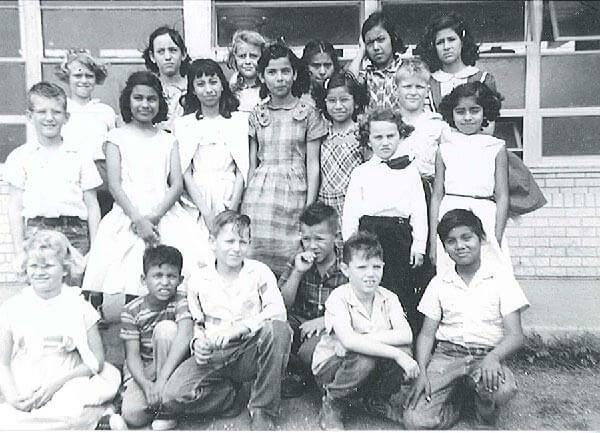 In October 1956, eight 7- to 10-year-old Mexican-American students from Driscoll testified in front of a federal judge, local residents, as well as the school district’s principal, superintendent and teachers. The children testified against the school district’s practice of forcing all Mexican-American students to repeat first grade for three years via a “beginner,” “low,” and “high” first grade. The court ordered the school to abandon the practice the following year, although the school continued to segregate minority students in other ways. Aleman recalled that his mother, Lupe, attended elementary school at Driscoll during the case’s litigation, which she had mentioned only once with few details. She also told him that she graduated from high school at 21 years of age. However, by the time he began looking into the Driscoll case, his mother had just passed away. “I never had the opportunity to ask her fully about what it was like to stand up against an oppressive system of segregation and racism,” Aleman said. He soon discovered that Driscoll’s small agricultural community, like Lupe, rarely spoke of the case. Aleman eventually filled in the many blanks his mother left. In 2010, he took a year off from teaching as part of a fellowship to research the Driscoll case, traveling around South Texas with a digital recorder to interview the schoolchildren, now in their late 60s, and others familiar with the case. Additionally, Aleman uncovered original court documents revealing that the defendants thought the “retardation of Latin children” would adversely impact the education of white children — a belief shared across other Texas school districts at the time, he said. 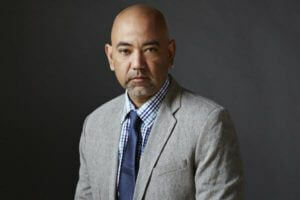 Aleman initially compiled research for a book, but with Utah filmmaker Rudy Luna, the project morphed into a documentary. Stolen Education also chronicles public school inequities that still exist today, such as poor funding and tracking, which is separating children based on academic performance, both of which most heavily impact poor and minority students. “Latinos are among the youngest and fastest growing demographics in the United States, yet they consistently lag behind in the achievement gap (test scores, dropout rates, higher education attendance, etc.) ,” Aleman said.